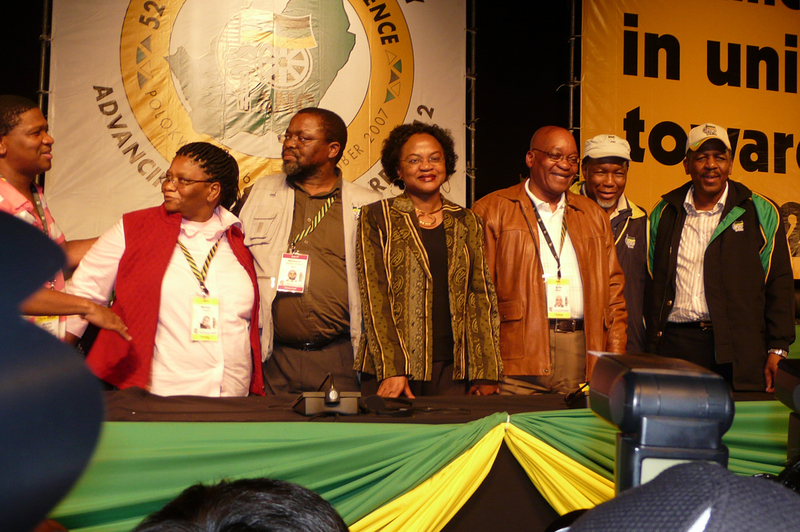 As an organisation, the ANC has a terrible addiction to secrecy. And like any addict, cowering in fear of the huge power of those who can control the supply, it is desperately trying to control the information flow. Which, of course, leads to a whole lot more complications. It won't change anytime soon, though, because leaks happen to be used by them all. The full negative impact of this addiction is going to come into the open soon as Julius Malema’s disciplinary hearing will demonstrate how this addiction can have such a bad impact. We want to be clear about this: keeping things behind closed doors is just asking for leaks. Contradictory, damaging, and in the end, very destructive leaks. Especially when the important decisions are made behind closed doors. Political journalism can be a bit like trying to piece together a traffic accident. Imagine a simple scene: You arrive to find two cars intertwined, with nobody hurt, but with two arguing drivers, three tow-trucks and an ambulance. Unless you find a reliable independent eyewitness, they all have reason to lie. The two drivers to avoid blame, the tow-truckers may talk up the damage to get some business, and the ambulance driver will be in a huge rush because he’ll have to go somewhere else soon. Try to pick out the truth from that lot. Now tell them all they’re not allowed to talk to anyone about what actually happened, and up the stakes. Make it so that the one who wins this will become president, and won’t be caught leaking information. What do you think is going to happen? You see, that’s why you follow The Daily Maverick, gentle reader. You get it. Which is why it disturbs us so that some of the cleverest people in the land just don’t get it. The ANC has a long tradition of sweeping its dirt under the carpet. And yet, there’s an equally long tradition of leaking the same dirt by ANC members. Think of all of those NEC meetings that seem to produce so many headlines over the weekend, that are then denied on Monday morning. Our favourite is the “NEC plans early elections” during the Mbeki recall saga. They only happen because it takes the ANC so damn long to work out what it’s going to say to the media after an NEC meeting. You would think they’d become used to it by now, but you’d be wrong. At last week’s press conference with Thandi Modise, there was the usual attack on journalists. Jackson Mthembu sometimes seems to have no clue whatsoever; his cellphone is pretty much a useless number to dial, even if it is the night before Zuma and Malema come face to face over an issue that could decide Zuma’s presidency. If Malema sees Zuma off, the composition of government could change again, and with it the direction of the entire country. All because two guys sit in the backroom somewhere to decide who can arm-wrestle better. So it’s completely natural for all of us to work the phones. And in a highly partisan situation with high stakes, it’s perfectly natural for people to leak information. So when Mthembu slams the media for reporting on these things, our advice is simple: Grow up! But we expected more from Thandi Modise. She’s the deputy secretary general, for goodness sake. And when we suggested that while we understood the desire to keep all of this secret, did she realise the damage that would inevitably result from directed leaks, all we got for our trouble was another public crapping on. Which we, like the rest of the room, just ignore, of course. Bad media, bad media. Modise has some right to be angry. She immediately went for the medical reports that proved Manto Tshabalala-Msimang had been in hospital on the days the Sunday Times said she was, when she got slightly sloshed. It was about dignity, she claimed. And it was then that she lost her respect for the media. Fair enough. We can imagine that it was traumatic for her and many in her party to see a comrade’s private affairs published like that. And, of course, the Sunday Times published the truth, and if the ANC had acted earlier, none of this would have happened. But the party as a whole still just misses the point. It’s a generation thing. Some of them still see reporters as part of the old regime, as cheerleaders for apartheid. There are very few political reporters from that time still working today, that’s just how things have panned out. And those that are, like Angela Quintal or Gaye Davis cannot be seen as apartheid lackeys. And as these leaders are from that generation, they just don’t understand how the media work, particularly the speed of it all. It’s not enough to hold a meeting late into the evening and then hold a press conference the next morning. It’ll leak out overnight, and he or she who controls the leak will control the news cycle. And then you’ll confirm (or in the case of the Malema charges, you’ll not confirm, then confirm, then un-confirm) something, that was already leaked to the papers that morning. As a result, your announcement gets very little coverage because it’s old news by the time the paper hits the streets again. And Modise really looks silly when she says that if they find out who in the ANC is leaking, they will punish them, they will be expelled from the party. Oh come on! If there’s a meeting between the ANC’s Top Six leaders and the ANC Youth League’s top leaders, who do you think leaked it? Really, we know you know who did this, and if you don’t know, it’s time to get out of politics. Anyway, a promise to take “disciplinary action” sounds pretty insipid, when, in all honesty, you would have to expel the entire leadership of the ANC. It also sounds hollow when your leader is too scared to take on the guy who’s really crossed the line. The real problem is that the meetings that matter in this country, the ones that actually decide things, that don’t start with a pre-planned outcome, happen in secret. That’s what allows the powerful to do what they do. The arm-twisting, the persuading, the back-stabbing; all of it happens behind closed doors. And the well-timed leak is just a part of that particular political ballet. And the most skilful politicians leak the best, because the leak itself can provide momentum for whatever manoeuvre one is currently engaged in. What the ANC wants is to be able to conduct all meetings, factional battles and deals far away from the very people whose lives will be deeply affected by it. They want their shoot-outs and shout-outs, those truly democratic processes, never to reach the public. The fact that the future of the country depends on who’s stronger on the day seems to be of secondary importance in this addiction to secrecy.